The year 2015 marks the 20-year anniversary of the Beijing Declaration and Platform for Action, the most progressive road map to gender equality. World leaders met in March at the United Nations 59th Commission on the Status of Women and in September at the 70th General Assembly to take stock of the progress made and commit to take action to close the gaps that are holding women and girls back. November 25th is the International Day for the Elimination of Violence against Women. Why This International Day? Violence against women is a human rights violation. Violence against women is a consequence of discrimination against women, in law and also in practice, and of persisting inequalities between men and women. Violence against women impacts on, and impedes, progress in many areas, including poverty eradication, combating HIV/AIDS, and peace and security. Violence against women and girls is not inevitable. Prevention is possible and essential. Violence against women continues to be a global pandemic. This year, the United Nations Secretary-General’s Campaign UNiTE to End Violence against Women invites you to Orange the world: End violence against women and girls (PDF). Join the UNiTE campaign and organize “Orange Events” between 25 November and 10 December 2015. 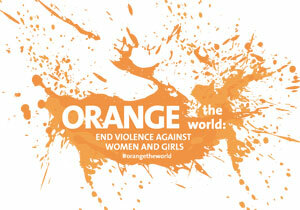 November 25 is the International Day for the Elimination of Violence against Women. UN Women Executive Director Phumzile Mlambo-Ngcuka addresses the root causes and solutions for violence against women and girls.